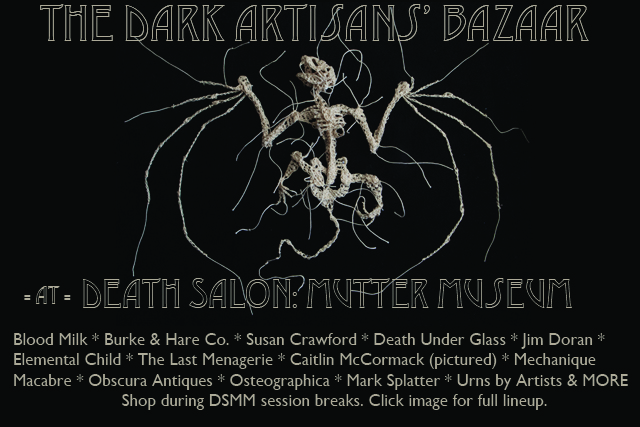 I’m very excited to say that I’ll be part of The Dark Artisans’ Bazaar at this year’s Death Salon, which takes place at the Mütter Museum! I’ll have a table with a lot of art and some new surprises. 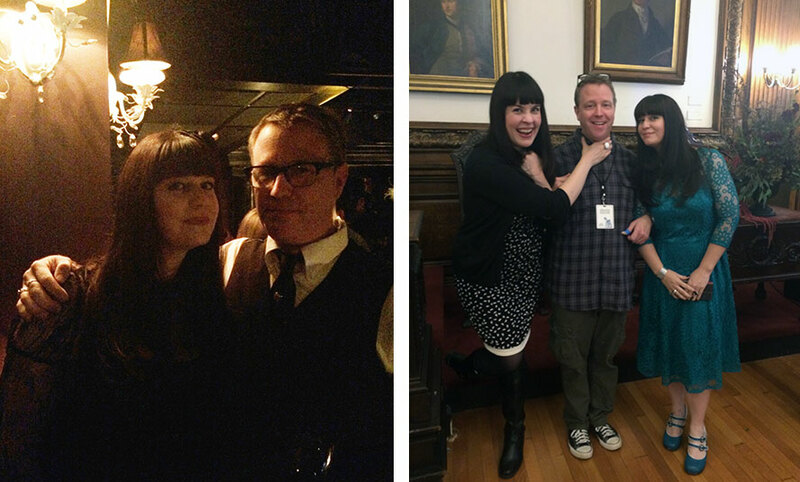 The Death Salon will take place on October 5 & 6, 2015. As of this writing, tickets are still available. 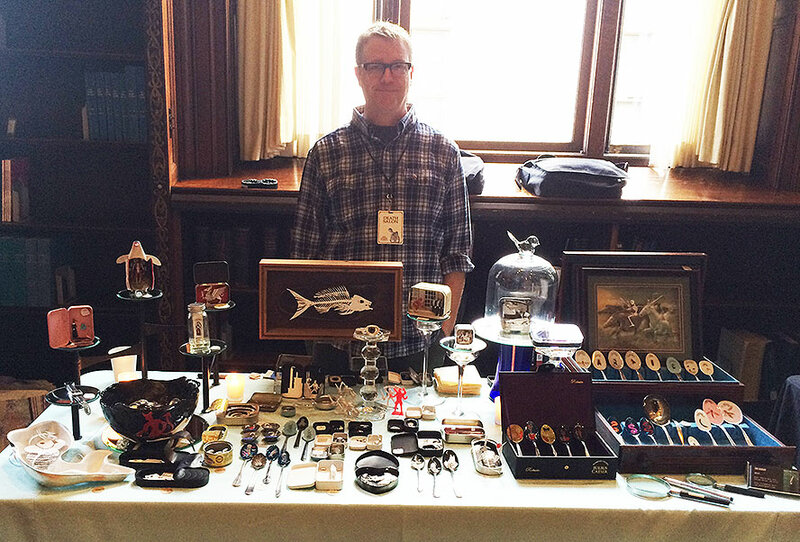 It was a big trip – the first time I’ve tried having a table somewhere. The introvert in me still enjoyed every moment. There were murder ballads at night. And lots of DEATH BANGS. 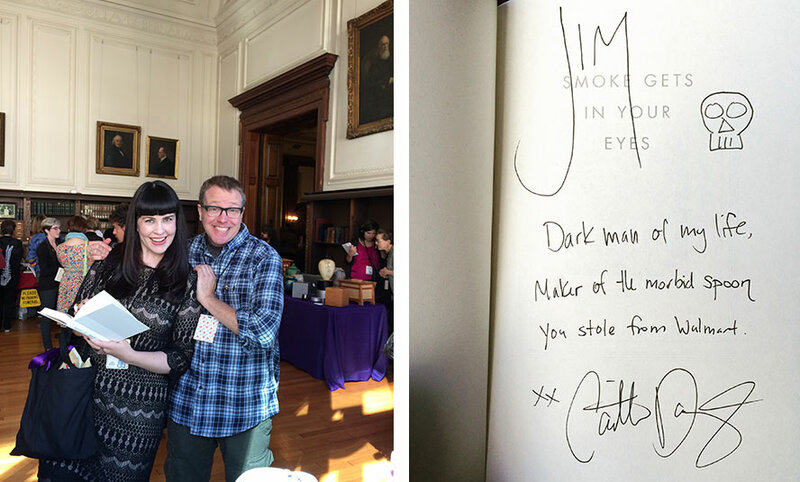 And, speaking of which, I FINALLY got to have a real life, in person meeting with my pal and fellow Order member Sarah Troop (Nourishing Death and Death and the Maiden, etc.). The museum itself is fascinating, as is the history of the founder. I had a private tour of the bone room and wet specimen room, and while it’s not a huge place, I want to go back and study the exhibits. 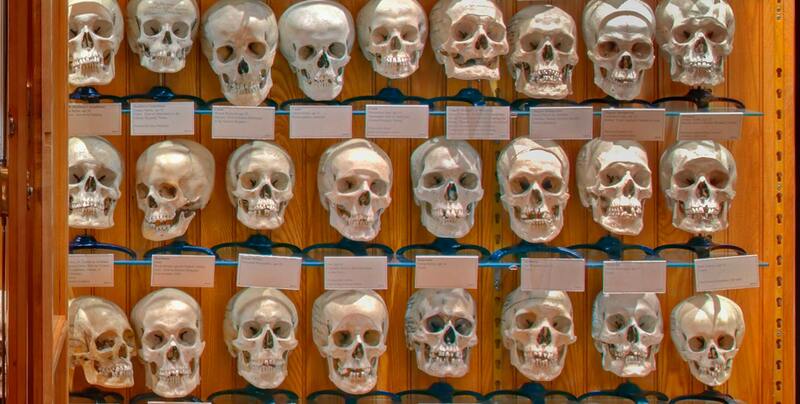 There is a great Vesalius exhibit, the wall of 139 skulls and the Soap Lady. A huge amount to read and study. I love the talks, the people and the Museum. I am very grateful I had the chance to be a part of this.